On June 26, former Ontario nurse Elizabeth Wettlaufer who murdered eight seniors in her care was sentenced to life in prison with no eligibility for parole for 25 years. 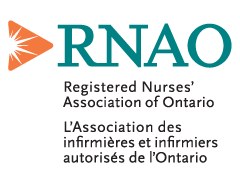 On July 25, 2017, the College of Nurses of Ontario (CNO) found Wettlaufer guilty of professional misconduct and revoked her nursing license. Details of Wettlaufer’s employment history and previous interactions with CNO were revealed during the disciplinary hearing. These included being fired in 1995 for stealing lorazepam, and being fired again in 2014 for medication error. The Wettlaufer case raises important questions about the safeguards in place to protect Ontario’s long-term care residents. That’s why RNAO is calling on the province to set a broad scope mandate for the Wettlaufer public inquiry that answers how this horrific tragedy happened, and see if there were any cracks in the system we can address to prevent it from ever happening again. Ontarians must know they can trust their health professionals and health system. Sign and share our action alert – 400 have already signed – to urge the province that the Wettlaufer inquiry must leave no stone unturned.